I discovered a lovely new blog: Her New Leaf. As well as amazing tips on creating the most beautiful blog you can, it has the most amazing tutorials including this faux classroom map. 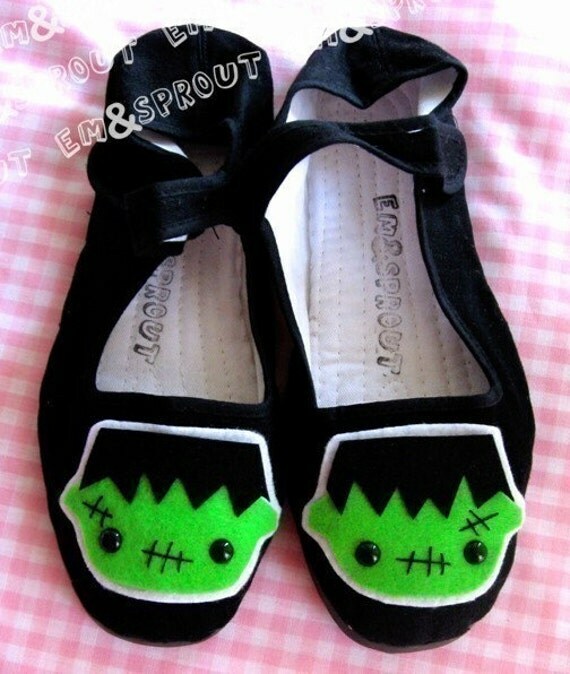 These amazing shoes by Em and Sprout. Seriously, go and check out the Etsy shop. There are so many adorable shoes that I found it difficult to pick one pair to feature here. I am definitely buying a pair! I love, love, love dinosaurs. Mindi at Miss Darlingheart has the cutest tutorial for dinosaur photo holders. I am definitely going to be making some of these over the holidays! I'm not sure where I stand on the Free Schools movement. However, I do know that I strongly believe in the arts and I feel that our current government is minimising the importance of creativity in education. That is why I fully support the proposals for the Plymouth School of Creative Arts- a free school for children aged 4-16 that teaches a curriculum fully integrated in creative pedagogy. I love biscuits. Rich Teas are my favourite. I could eat a whole packet for lunch (and by could, I mean I have. On more than one occasion). So this Lost in the Haze dress, the very first Lost in the Haze dress, no less, is right up my street! Om nom nom. I love Pepsi Max - it's the best. :) Anyway, love the map - it's so cool, and that dress is very cute! Oh geez, that last dress is just ugh. I want it. Ooh if your sister does end up going there, will you let me know what it's like? I'm desperate to know how it ends up! I am sso jelous now! That last dress is so lovely! totally lovin' that dress...it is so dang cute! Ohmygosh, I love the dress!